Longtime Las Vegan Dan Currie, who played outside linebacker for Vince Lombardi’s championship teams in Green Bay during the 1960s and was featured on the cover of Sports Illustrated, died Monday. He was 82. This is an undated file photo of Dan Currie. 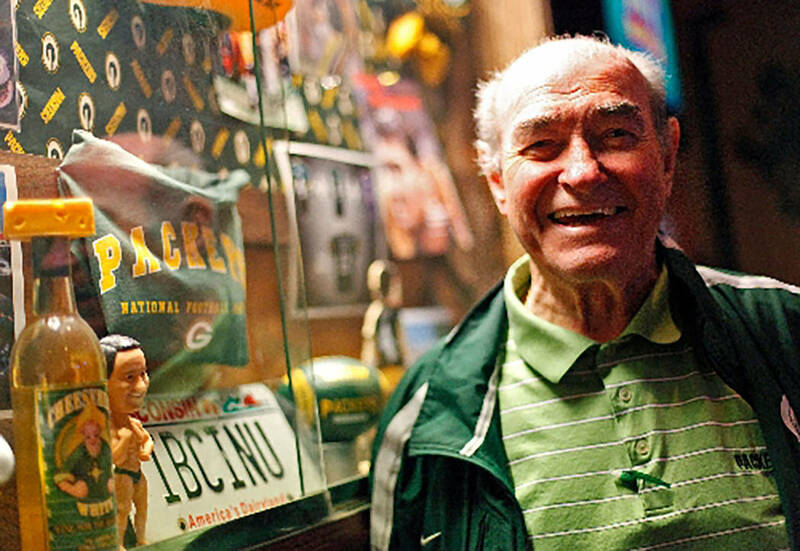 It was 6:18 p.m. when Dapper Dan Currie of Lombardi’s Packers died at Mountain View Hospital on Monday. His knee gave out for the last time, and after a long fight so did everything else, which sometimes happens with pro football stars who live to be 82. 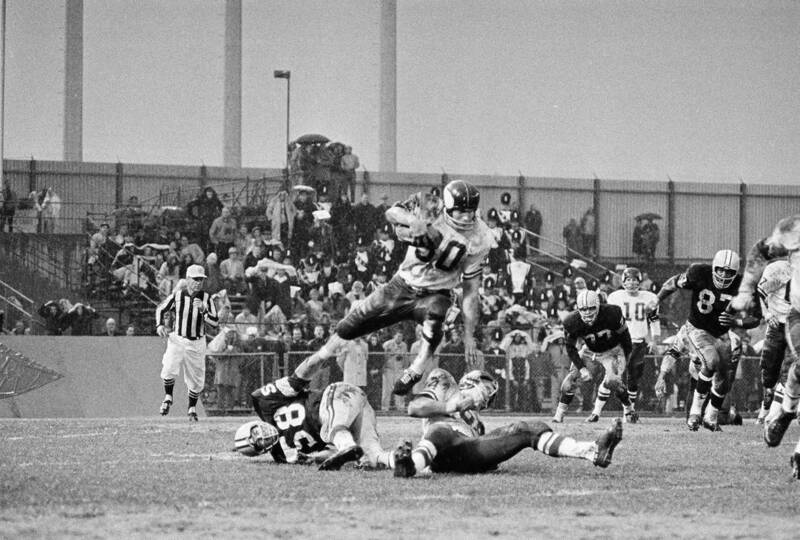 It was during the 1962 NFL championship game that Dan Currie’s knee gave out the first time. He had intercepted a pass from Giants quarterback Y.A. Tittle and was headed for the end zone. Lombardi’s Packers won anyway. Lombardi’s Packers won a lot when Dan Currie was an All-Pro linebacker and appeared on the cover of Sports Illustrated looking like a movie star or Frank Gifford. We met a few seasons ago at Jackson’s, a Packers pub on West Flamingo. Green Bay was getting ready to play on the big screens. He was wearing a Packer green warmup suit and said he had had a couple of beers — and that he would gladly make it three, if I were buying. His thumb was attached to his left hand at an acute angle. Pro football is not a game for the timid. Dan Currie moved and talked slowly. He didn’t speak much of the current Packers. He spoke mostly of Lombardi’s Packers. He told a story about President Dwight Eisenhower attending Packers practice. A gentle rain was falling when Ike strode onto the practice field opposite Lombardi, nearly leveling it. “Black Hamburg hat. Black Chesterfield coat. White scarf,” old Dan Currie said. And now you know why Jerry Kramer and Lombardi’s other Packers called him Dapper. When Dapper Dan Currie did likewise at Mountain View Hospital Monday, Frank Sinatra was singing “My Way” on a little speaker. Dan Currie worked in hotel security in Las Vegas for more than 25 years — “It started out as breaking up fights, and now I help run money to the tables and serve as a modified paramedic, helping people when they get sick or go down,” he told the Milwaukee Journal Sentinel in 2003. After that, the knees he injured playing football ached a lot. That’s how Joanna Saxton came to know him. She was hired through the health care industry to massage Dan Currie’s knee that gave out against the Giants, and they quickly became friends. Saxton is the one who interceded when improprieties with Currie’s court-appointed guardianship were uncovered. She also was the one who accompanied Dan to Lambeau Field for a reunion of Lombardi’s Packers in 2015. And she was the one who brought the Frank Sinatra tunes to the hospital Monday, because Dan Currie loved Sinatra almost as much he loved pocket squares. Joanna Saxton was the one who called Jerry Kramer to tell him their pal Dan had died. When the old Idaho Vandal was contacted at his Boise home Tuesday, he told lots of stories about his roomie Dapper Dan, how Currie would dress up in a top hat for Kramer’s daughter and Henry Jordan’s daughter, and do a soft shoe, and sing “Thank Heaven for Little Girls” like Maurice Chevalier. And then Jerry Kramer sang it, too, over the telephone. “Dapper was slick; he was a handsome guy. We had our fun. 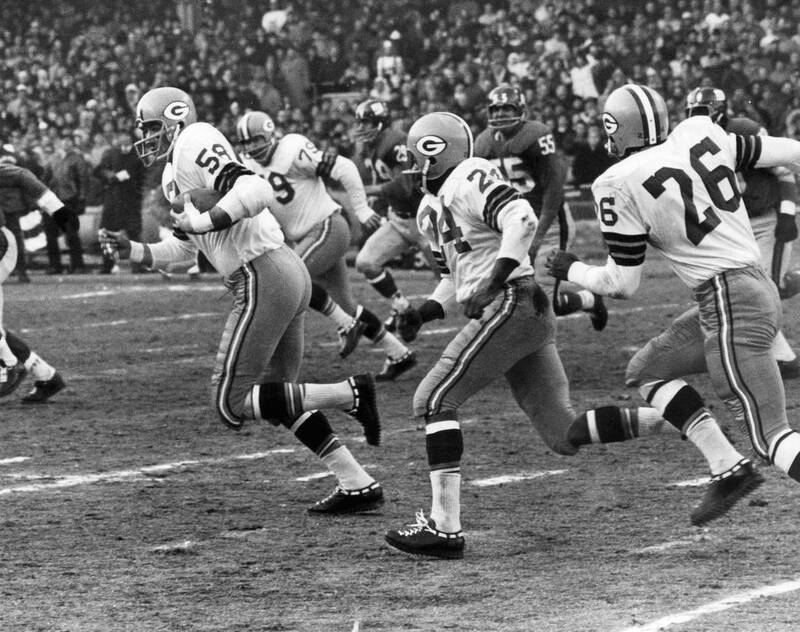 But he also was a gentleman,” said the man who made the famous goal line block on frozen tundra that allowed Bart Starr to score the winning touchdown in the 1967 Ice Bowl against Dallas. There’s a sad side to Dan Currie’s story — he was estranged from his six children, and Joanna Saxton said he rarely spoke of them. But he never had to spend the holidays alone. He spent them with Joanna Saxton’s family. She said he treated her children as if they were his grandkids. Or Jerry Kramer’s or Henry Jordan’s. The back of his football card will show that Dan Currie spent nine seasons in the NFL, seven with Lombardi’s Packers and two with the Rams. He was born in Detroit and starred at Michigan State and was the third player picked in the 1958 draft, in which Green Bay also selected stalwarts Jim Taylor, Ray Nitschke and Jerry Kramer. But their friendship was never about the back of a football card said Joanna Saxton, the old player’s best friend over the final eight years of his life. It was about empathy for another human being. She was the only person in the hospital room when Dapper Dan Currie of Lombardi’s Packers died Monday. She held his hand and he squeezed hers, and they listened to Frank Sinatra sing. — NFL: Green Bay Packers, 1958-64; Los Angeles Rams, 1965-66. — Career highlights: NCAA All-American; two-time NFL champion; Associated Press first-team All-Pro 1962; Green Bay Packers Hall of Fame. — Did you know: Dan Currie moved to Las Vegas during the 1980s and worked in hotel security for more than 25 years.